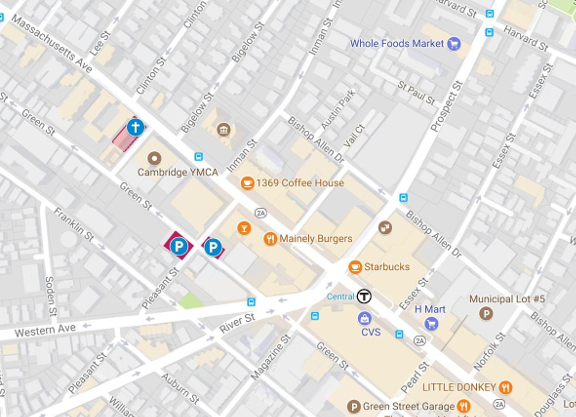 On Sundays and holidays you can park in any legal spot in Cambridge, including Resident-Only spots, and all parking meters are free. All public parking lots are also free. On weekdays, metered parking is available on Sellers Street and Massachusetts Avenue. You can pay your parking meter via cellphone or web browser with the Passport app, approved by the City of Cambridge.